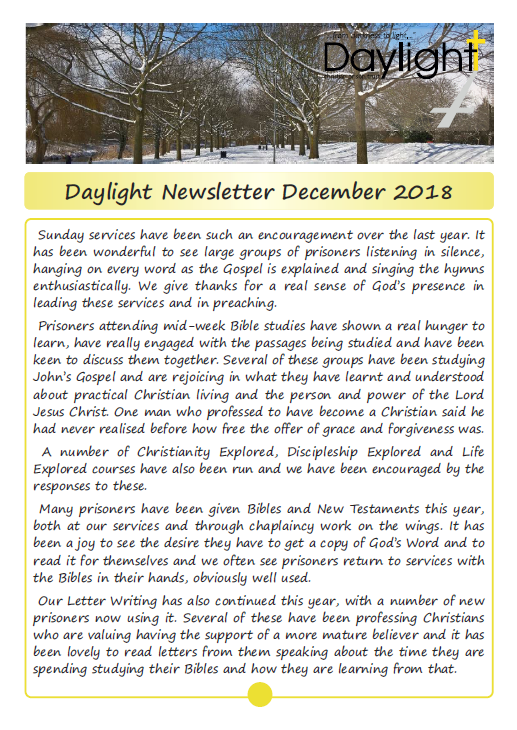 Each year brings new challenges but also new encouragements, and as we look back over 2018, we can give thanks to God for giving us continued opportunities to share the Gospel with prisoners and prison staff, for encouraging responses to the messages and for prisoners professing faith and growing in grace. We can also give thanks to God for the way the work has been sustained through another year and would ask you to pray that income would continue to be provided to meet the expenditure month by month. 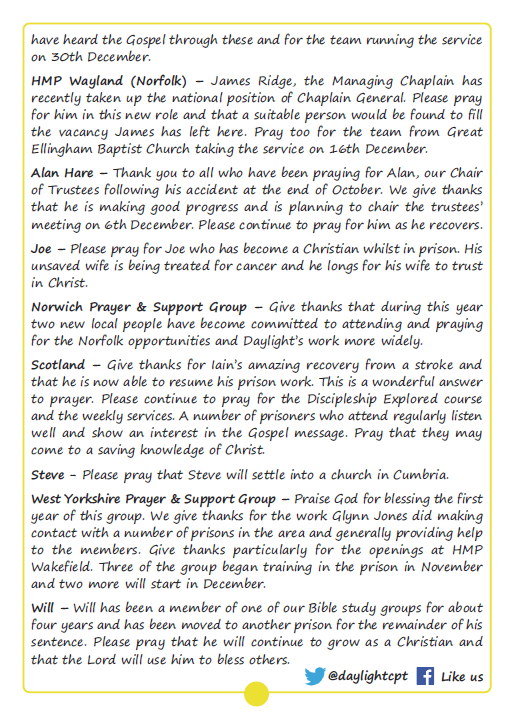 One particular encouragement this year was from a prisoner using our letter writing who wrote about the time he spends studying his Bible. He says, “My Bible study is going well and is always the best part of my day. I am currently doing a study on Mark’s Gospel and I am really enjoying it. I have read Mark a few times and it’s amazing that every time you re-read it, you learn something new and it feels fresh, like you’ve never read it before. The way God uses the Bible to speak to us in this way is so powerful.” Please continue to pray that a volunteer would be found to run the letter writing. 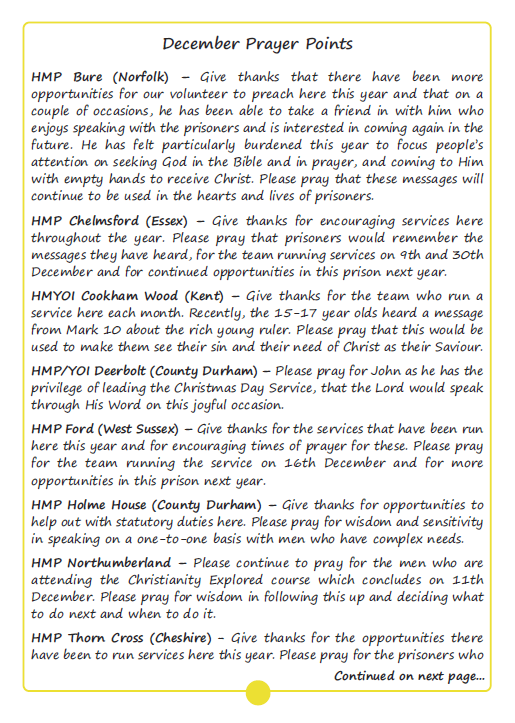 The Christmas period can be difficult for prisoners, as it is a time when they particularly feel being separated from their families. Please pray that as our staff and volunteers run services, Bible studies and courses during December these would be an encouragement to them, and that at this lonely time, they would see their need of Emmanuel. Thank you for your prayers and support during 2018.